Biography: Opal Hunt Home for Children Ministries was started in 2005, when God led Sunil Kumar to the area of Anki Reddy Palem. Sunil Kumar currently has four churches, and has four services every Sunday, with gospel meetings and baptism services each month. They have a monthly fellowship meeting with other pastors, and currently have 40 pastors in their fellowship who work along with them to do the work of the ministry. Sunil Kumar and Bharathi also have an orphanage center which feeds orphans. The vision of the ministry is to save people. 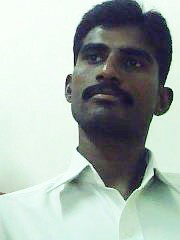 "That's why monthly we go to unreached areas and preach the gospel" says Sunil. They have a vision for planting more churches, an orphanage, old age homes and a Bible training center. The ministry has cell groups that meet on a weekly basis. They have children's and youth ministries that meet on Sundays and also hold summer camps. Strengths: Sunil Kumar is a worship leader, preacher and teacher, who also has a translation ministry.